She’s an enduring classic, a name with ancient roots and a great meaning. Thanks to SoPeJo for suggesting Margaret as our Baby Name of the Day. Margaret was a Top Ten pick from 1880 through 1939. Nearly anyone would consider her a classic. And yet, at #187 in 2011, she’s fading from use. It isn’t that we’ve given up on classic names – Katherine and Elizabeth remain popular. But Margaret, somehow, isn’t at the top of our lists lately. Too bad, because she has a great story. 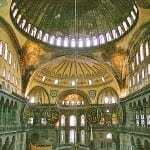 In Greek, margarites is the word for pearl, ultimately from an older Sanskrit or Persian word. In Latin, she became Margarita, and a given name. Margarita remains in use in Spanish and Russian. An early saint gave her a boost. Margaret of Antioch was the daughter of a pagan priest, and a convert to Christianity. In an act of teenage rebellion, Margaret retired to a quiet life in the countryside and refused marriage. For her disobedience, Margaret was tortured. 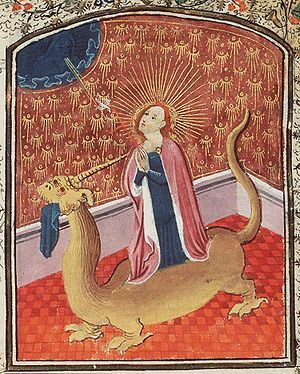 This is where the story becomes incredible: during her torture, the story goes, Satan appeared in the shape of a dragon and swallowed Margaret whole, but the cross she wore allowed her to escape from the belly of the beast, unscathed. Odds are that her story isn’t true – at least that part about the dragon. But she appears, dragon and all, in medieval bestseller The Golden Legend. Gory and spectacular, it was a collection of saints’ stories. The archbishop of Genoa, Jacobus de Voragine, put together the original version. Translations and copies followed. Not only were people all over Europe reading about Margaret, it was also the era of the Crusades and a fascination with the East. Combine the two, and no surprise that a saint’s name associated with Antioch caught on. If today Margaret sounds sensible, at the time she must have seemed glittering and exotic. With a growing number of girls named Margaret, nicknames evolved: Meg, Peggy, Greta, Madge, Maisie, Maggie, Margot, plus variant Margery – which was actually the common vernacular form of the name. Other saints Margaret followed, and many a royal has answered to Margaret, starting with the eleventh century Margaret of Scotland, an Anglo-Saxon princess who landed in Scotland after the Norman conquest. Some famous Margarets are shape-shifters. Margaret “Peggy” Hookham became the legendary ballerina Margot Fonteyn. Margaret Hyra went to Hollywood and became Meg Ryan. Maggie Smith and Maggie Gyllenhaal are both Margarets, too, and Maya Angelou answered to the French form of the name: Marguerite. Which brings us to Daisy. 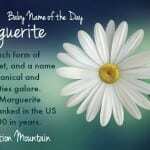 The French word for the flower is marguerite, thanks to a comparison between the flower and the pearl. Marguerite de Navarre, sister to the future French king Francis I, a skilled diplomat, accomplished writer, and friend to Erasmus and da Vinci, used the daisy as her personal symbol. So did Margaret of Anjou. An even earlier link comes from the Oxford-educated monk and poet, John Lydgate. His Temple of Glas expressly links Margaret and daisy. So does French writer Jean Molinet. After centuries of reinforcement, the Margaret/Daisy connection is solidly established, making the delicate Daisy a playful nickname option. Overall, she’s serious and smart but rich with playful nicknames. She’s an alternative to Charlotte or Madeline. If you’re seeking an enduring classic that isn’t often heard today, Margaret could be the answer. This is my mother’s name and I’m afraid she has always hated it – and its nicknames! I believe it’s the ‘grit’ sound at the end that she dislikes. Personally, I really like Meg and Maggie, but she has gone by Midge since her late teens. We’ve never met another Margaret who goes by Midge, has anyone else? Oh, thanks Meg! And Margaret is such a great classic name. My grandmothers name was Margaret but she went by Marnie. With so many nickname possibilities I would think it would be as popular as Elizabeth. I love this classic name. I’ve always loved Margaret, but my mom hates it. 🙁 We still have it on our list as a middle name though. I would use the nicknames Maggie [my favorite] and Daisy [my late gramma’s favorite flower]. It’s my husband’s great-aunt’s name, and there are LOADS of Margarets farther back on my family tree. 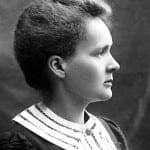 There’s a Marguerite in my family tree–she was a physician and ran her own hospital. I would love to have a little Marguerite nicknamed Margo! It is just the right combination of classic and spunky. Our baby is Margaret (nickname Maisy), and it suits her perfectly! Everyone’s first question is whether it’s a family name. No one ever spells Maisy right, and not because they think it’s Maisie either. Usually they just guess a random phonetic spelling like Mayzee. They also mix it up with Macie. People also just assume we use the nickname Maggie. Our other top name contenders were Louisa, Helen, Cecily and Paloma. There was a girl in the year below me at school called Margaret and I remember how I used to think her name was so stuffy and old-fashioned but that’s what I love about her now: a true underused classic. I wonder how long it’ll take before she starts being used again? I firmly like Margaret. I think she’s lovely, warm & strong. The Margery form is a family name for me; one of my very favorite cousins is a Margery/Margie. Now THAT is a great reason to use Margaret. I’m with you completely! Margaret is the only name I have loved since childhood. I remember very clearly telling my father that I would name a daughter Margaret when I was 7. It has so many great nicknames, I don’t see how he doesn’t go for it. Maggie is out for us (my parents’ dog), but there is still Meg, Daisy, Maisie, Molly, Greta, Gretchen, Gretel, Margie, Metta, and so many more! Her younger brothers are William and Samuel. Classic is definitely in! There are plenty of literary and movie Margarets too. Margaret makes me think of Dennis the Menace’s nemesis, while my favorite is Meg Murry from A Wrinkle in Time. We named our daughter, who was born in April, Margaret Louise. It’s a beautiful, strong, classic name. I love it. Thanks for this! I didn’t know anything about the saints part of the name’s history, though I have always loved the idea that my Grandma Margaret was a pearl. All her female grandchildren (except me, as I have an older sister) have Margaret for a middle and they all really like it, it is nice to carry a little bit of your family around with you! Love it! We debated using Margaret as a first name years ago, but my mom is Margo, and my mil is Mary; we thought it was too confusing. We have Fiona Margaret instead. My sister is Amelia Margaret, my mom is Margo Lee, and my grandma was Margaret Isobella. Also, I’m amused you used my full name, Katherine Elizabeth, as your evergreen examples. My family is certainly into family classics! I have a sister named Margaret. She goes by her middle name, Rose.